A great new online lesson! 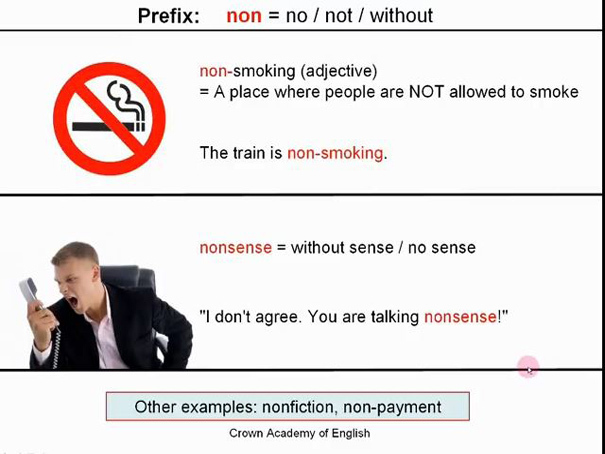 Learn the most common English prefixes and find out which have more than one meaning or use. The most common ones are explained in this video class with several examples. The teacher explains everything very clearly and highlights the key words as he goes along the text.